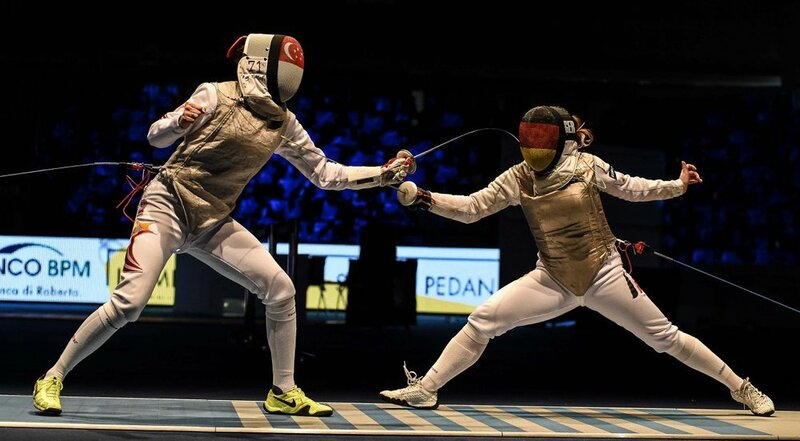 Here goes Marx Fencing Academy's second World Championships medal - a Silver in the Junior Team Event by Amita Berthier! Amita and her teammates fought tough matches against Team Germany, eventually beating the team in a comeback to land a place in the finals against Team USA. The score in the finals was 30-45, with victory to Team USA. Congratulations to all the medallists! We're proud of her and of course, Team USA! Amita, after scoring last touch on Team Germany.